For all of the wine enthusiast and all of those people who love the culture of drinking wine this article can be helpful in manner to guide you to get all from your wine in every way.The saddest thing for every wine lover is empty wine bottle, that is because it remind you that the wine is gone and you are left only with an empty bottle.Anyway, you don’t need to grief anymore for empty wine bottles regarding to the fact that you can use them as an amazing decoration in your home. So after finishing the splendid bottle of wine don’t attempt to threw it away keep the bottle and keep reading how to make your wine bottle creative and fun. 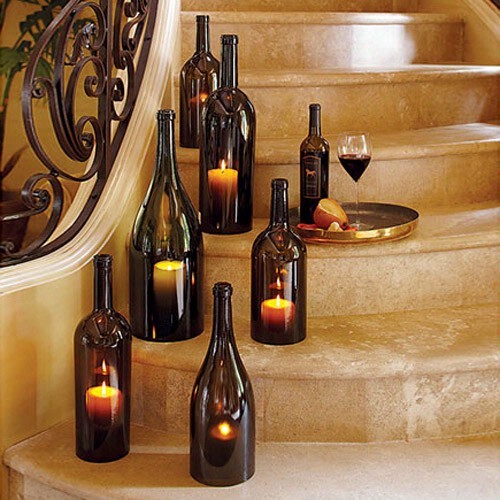 Check out some of these awesome creative ideas of how you can reuse the old wine bottles. 1.Wedding Bottle Decoration This is great way to reuse the old wine bottles and to add a scent of sophistication and elegance in your wedding decoration. 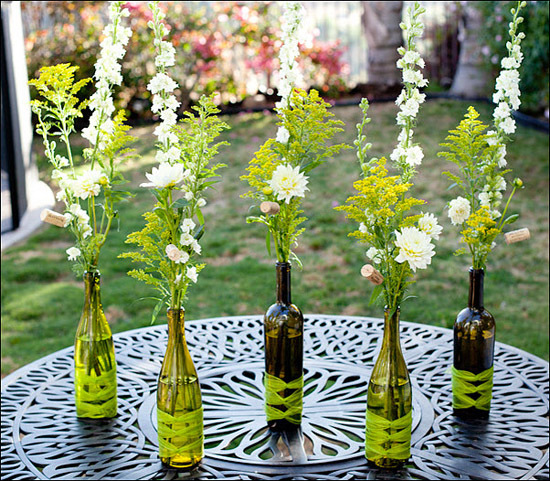 These wine bottles will beautify your wedding and are easy to make . 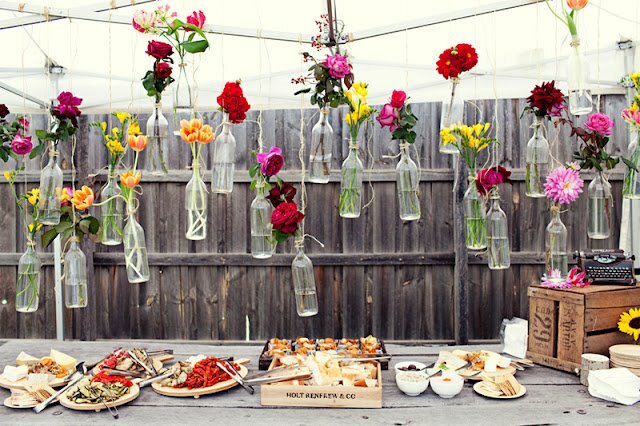 2.Hanging wine bottles vase A real Mediterranean scent you will give to your yard or terrace with hanging the old wine bottles and reuse them as a vase with fresh flowers, really creative and imaginative. 3.Wine Bottle Vase for Flowers This is cool way to spare money for buying vase for flowers and use your old wine bottles for amazing vase for flowers , you can just peal the label and put some decorative material and you will have a brand new vase for flowers. 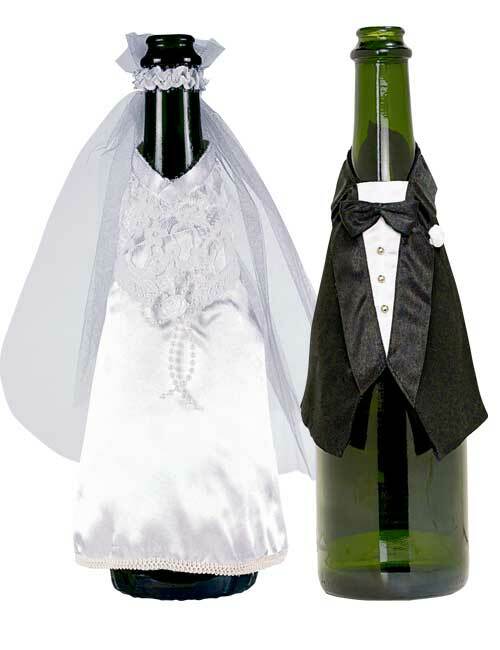 4.Bride and Groom Figures from Wine Bottles You can have unique and authentic wedding figures from old wine bottles, decorated with a bride and groom clothes which can add a very cool scent to your wedding. 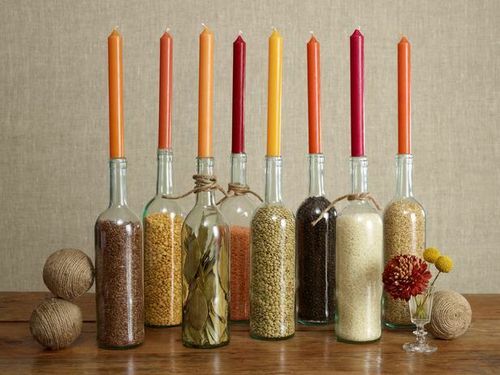 Great way to give a hearty and earthy look to your home and good way to keep the rice and other grain on safe place. 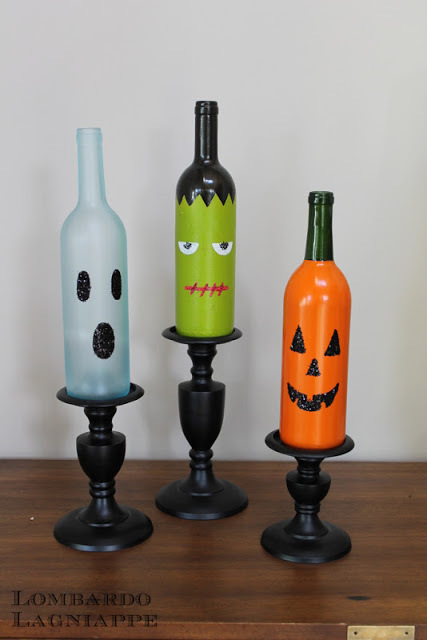 6.Halloween decoration with old wine bottles Halloween doesn’t need to be fun just for children . 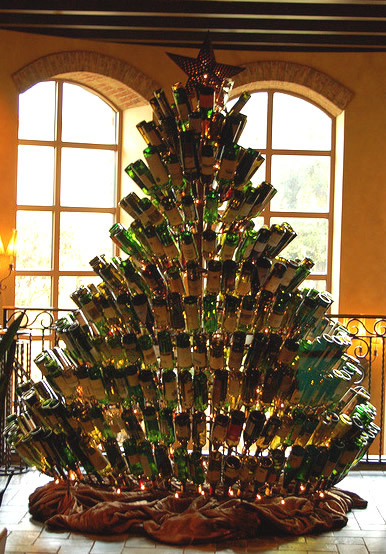 you can have the part of the funby decorating the old wine bottles in the name of this holiday. This is cool idea if you are huge wine lover and you have bunch of old wine bottles, you can use them on the most creative and unconventional way.